Oval Brand Fire Products (manufacturer of uniquely designed and patented fire extinguishers) approached LACO in search for a way to leak test their products in order to meet the rigorous demands of the fire protection industry. 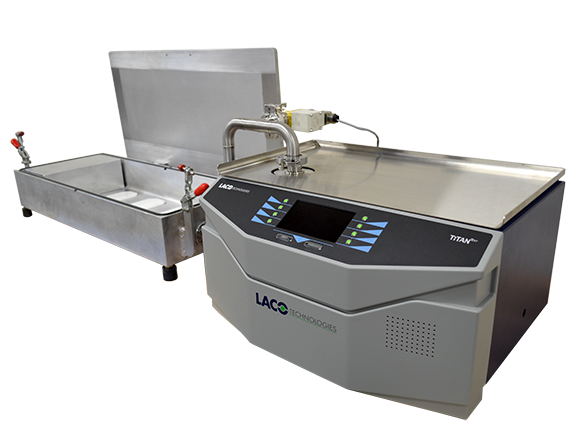 LACO provided Oval with a TITANTEST™ helium mass spectrometer leak detector capable of hard vacuum leak testing down to 5 x 10-12 atm.cc/sec. LACO also provided the manufacturer with a machined aluminum rectangular vacuum test chamber with a hinged lid for easy loading and unloading of their fire extinguishers. With LACO’s help, Oval Brand Fire Products continues to revolutionize expectations for fire safety products. Oval helps to save lives and property by innovating unparalleled fire protection products. Find out more about Oval on their website: Oval Fire Products. Learn more about LACO’s leak testing solutions: Production Leak Testing.